NEW TV SHOW AT CW? Following the success of their ARROW superhero series CW is, according to speculations over at "Deadline", planning to give yet another superhero his own show! 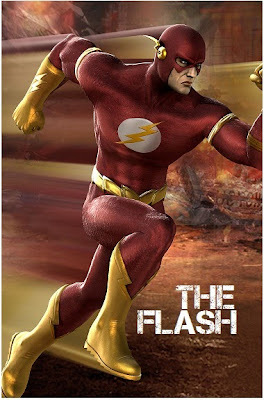 THE FLASH might be introduced in the second run of ARROW after which he is going to get his own television series! As some of you probably remember THE FLASH already had a show back in the early 90's with John Wesley Shipp in the lead role. He is DC's character who becomes a superfast vigilante after surviving an accident in a laboratory. CW is also working on AMAZON show which will explore the origins of Wonder Woman. Here's a nice little cast: "The Hollywood Reporter" writes that Wes Bentley and Joan Cusack have joined WELCOME TO ME which already has James Marsden, Jennifer Jason Leigh, Tim Robbins, Alan Tudyk and Kristen Wigg. It is a dramedy about society's obsession with fame with the story which revolves around a woman who suffers from dissociative personality disorder. She wins the lottery and spends all of her winnings on a cable access talk show about herself. At the same time, it was announced that Jane Moore's book THE EX FILES will be made into THE EXES film directed by Andy Fickman in which the story will follow the ex-girlfriend of the groom, who reluctantly agrees to attend his destination wedding for closure and for friendship. Once there, she finds herself trapped at an island resort with all of couples' exes. Old flames are rekindled, new romances are born and complete chaos ensues. In other television news today, after scoring summer success with their current TV hit UNDER THE DOME based on Stephen King's work, NBC has ordered yet another television adaptation on the famous sf writer's novel! 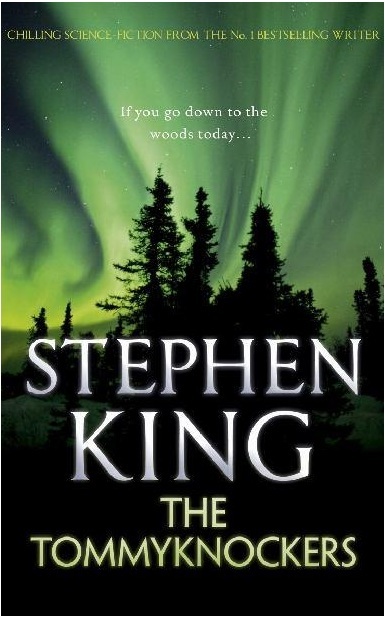 King's TOMMYKNOCKERS will be based on his 1987 novel about the residents of a small Maine town and how they deal with what they perceive to be an alien spacecraft that has landed nearby! I've already informed you before that NBC has also ordered a six episode historical mini series on CLEOPATRA and also PLYMOUTH, another historical mini series which will follow the challenges and drama of the Pilgrims' journey across the Atlantic and the difficulties of settling in a new country! Since, Hollywood has no news for us today, we shall focus on some new sitcoms and shows arriving to TV this Autumn! CBS is preparing THE MILLERS comedy for Fall! The sitcom stars Will Arnett as Nathan Miller, a recently divorced local roving news reporter looking forward to living the singles’ life until the unexpected marital troubles of his parents (Margo Martindale and Beau Bridges) suddenly derail his plans. 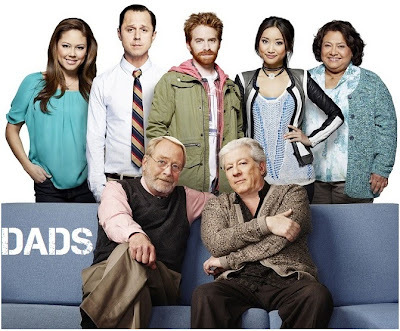 When he informs his parents of his recent divorce, his father (Beau Bridges) follows suit and leaves his wife (Margo Martindale) of forty-three years, complicating Nathan's life. 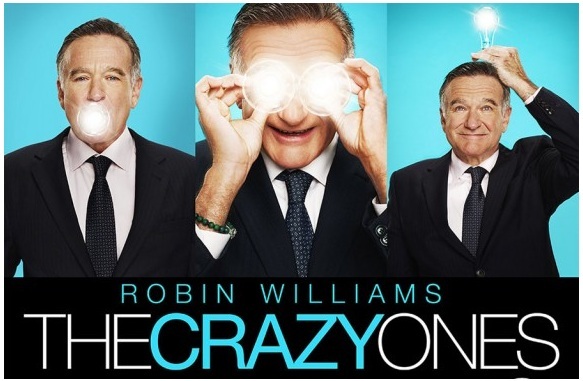 Probably the most anticipated sitcom this Autumn is CBS's comedy show THE CRAZY ONES in which Robin Williams will appear as larger-than-life advertising genius Simon Roberts whose unorthodox methods and unpredictable behavior would get him fired… if he weren’t the boss. 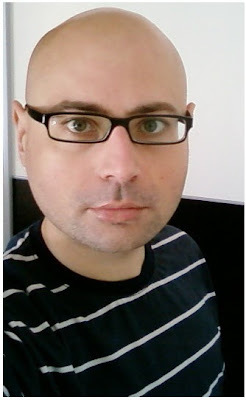 Sarah Michelle Gellar is his daughter Sydney Roberts, who is more reasonable and determined to make a name for herself. Despite being polar opposites, the twosome have managed to use unusual ways to win or keep clients, even if the people who they work with think they're crazy to pull it off, especially if it's from their boss, Simon. Here's one for ladies: a television adaptation of Melissa de la Cruz bestselling book WITCHES OF EAST END over at Lifetime! The show centres on the adventures of a mother and her two adult daughters, both of whom unknowingly are their family's next generation of witches, who lead seemingly quiet, uneventful modern day lives in Long Island's secluded seaside town of North Hampton. When one of the daughters becomes engaged to a young, wealthy newcomer, a series of events forces her mother to admit to her daughters they are, in fact, powerful and immortal witches. The mother is played by Julia Ormond, with Jenna Dewan Tatum and Rachel Boston playing daughters, and with Patrick Heusinger and Eric Winter also in the cast. 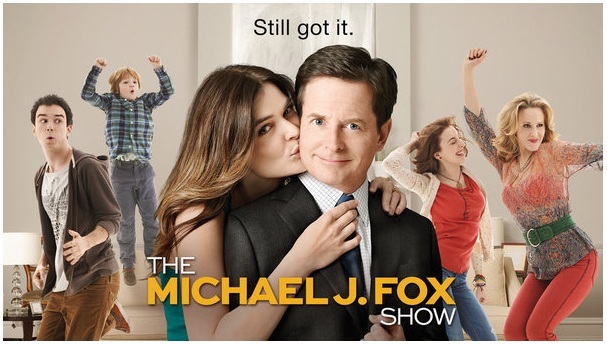 NBC will enter the sitcom race with their new MICHAEL J. FOX SHOW! It will air on Thursdays after SEAN SAVES THE WORLD and will have elements from Michael's real life. After being diagnosed with Parkinson's disease, Mike Henry had to give up his career as a news anchor and focus on his health and his family. Five years later, Mike decides to get back to work and struggles between family and career. If you miss WILL AND GRACE, you will probably like Sean Hayes' new sitcom SEAN SAVES THE WORLD! The new NBC sitcom centres on his character’s figuring out how to parent a 14-year-old daughter (Samantha Isler) who just moved in with him. It co-stars Linda Lavin as his mother as well as Megan Hilty as his longtime friend. 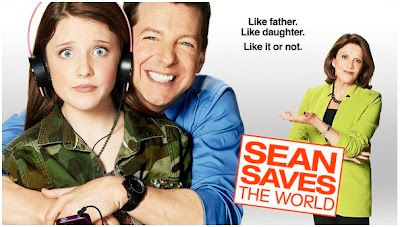 Even though Sean Hayes is gay in this one too, the comedy will not focus on him being gay. Over at FOX they will humour us with DADS in which Giovanni Ribisi and Seth Green play two successful video game developers whose lives are unexpectedly changed when their fathers move in with them. 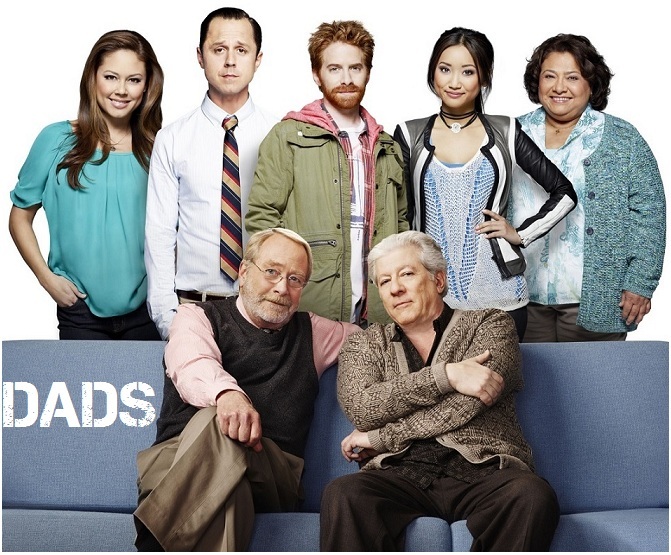 Starting this September, the sitcom will see Martin Mull and Peter Riegert playing their DADS! The Wrap reports that Paul Feig will write and direct spy comedy SUSAN COOPER with Melissa McCarthy possibly taking the lead role. The story is being described as a realistic secret agent thriller centring on a female James Bond type. As you already know, Melissa is Feig's pet actress and they worked together on BRIDESMAIDS and THE HEAT. Now, here's something interesting and new from Pixar: coming from Pete Docter, who won an Oscar for his movie UP, INSIDE OUT will have a story that takes place inside the mind of an 11-year-old girl, and emotions such as anger, sadness, disgust and joy are the main characters. The characters are presented through an energy made up of particles that actually move representing what emotions could actually look like. Slated for 2015 the film will simultaneously show what is happening to the girl and what is happening inside her mind. Last year, your trusted HOLLYWOOD SPY announced that SyFy will make a science fiction television series out of Paul Bettany's LEGION sf movie which showed him as a fallen angel! Based on characters from the hit theatrical film DOMINION show will be an epic supernatural action drama set 25 years in the future after a war between an army of Angels and mankind has transformed the world. The series follows the perilous journey of a rebellious young soldier who discovers he's the unlikely savior of humanity. The compelling new series will see the future of humanity hanging in the balance as the ultimate celestial battle descends to Earth! Scott Stewart who directed LEGION will also direct the pilot for the series. And check out the second trailer and a new poster for new movie adaptation of Shakespeare's ROMEO AND JULIET! 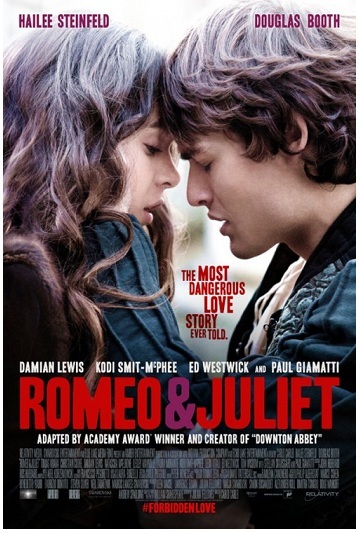 Produced by DOWNTON ABBEY's Julian Fellowes, the famous story about the star crossed lovers and their forbidden love will have Douglas Boothe playing Romeo, Hailee Steinfeld is Juliet, Damien Lewis is her father Lord Capulet, Paul Giamatti is Friar Laurence, Ed Westwick is Tybalt, Stellan Skarsgard is prince of Verona, Natascha McElhone is Lady Capulet, Kodi Smith McPhee is Benvolio, Tom Wisdom is Paris.... The film should premiere this Autumn in cinemas. DID YOU KNOW? MIRROR MIRROR star Lily Collins was supposed to play Juliet but had scheduling problems, while Sam Claflin, Logan Lerman and Josh Hutcherson all auditioned for Romeo role. And in some shameless self promotion today: if you are in the mood for your trusted HOLLYWOOD SPY Dezzy's talks on his profession you may pop over today to BARDS AND PROPHETS site where American writer L.G.Smith is talking with me about my work as a book translator. We bring up some interesting tidbits and reveal the secrets of the job!I would love to see your comments there! 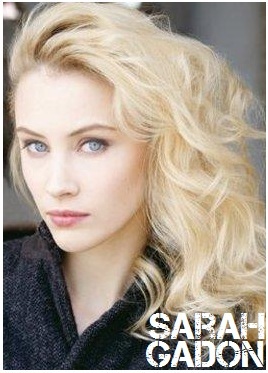 One of our favourite of the upcoming new projects - Universal's DRACULA historical epic, is getting new cast members! LES MISERABLES star Samantha Barks, Iceland actor Thor Kristjansson and GAME OF THRONES Art Parkinson have just joined the movie. Welsh superstar Luke Evans is the historical medieval Prince Vlad, the Wallachian ruler who would later on become the inspiration for Bram Stoker's vampire. In the film he is a young prince who, when the lives of his wife and child are put in danger by a bloodthirsty sultan, risks his soul to save them, and in the process becomes the first vampire! Dominic Cooper will play Turkish sultan Mehmed, Sarah Gadon will play Dracula's wife, Zach McGowan is Shkelgim, a gypsy chief, Samantha Barks will be Baba Yaga, a woman from Eastern European folklore who turns into a deadly witch. Thor Kristjansson plays Bright Eyes, who was enslaved as a young boy and is now an Ottoman Empire assassin, while Art Parkinson will portray Dracula's son, Ingeras. The good news is that Luke Evans returns to Serbia where he shot his movie RAVEN, since DRACULA will start production this August in Serbian capital Belgrade. Vlad Tepes, or Vlad the Impaler, was the 15th century prince of Wallachia who inspired the character of Dracula (the name comes from his Draculesti dynasty). He ruled Wallachia (part of today's Romania) while the whole Balkan peninsula suffered under the Ottoman invasion. He was a member of the Order of the Dragon and is actually considered a hero in many countries since he protected Christian people from Turkish tyranny. His bloodthirsty reputation from the tales comes from his practice of impaling his enemies. It is believed that he had tens of thousands of victims. 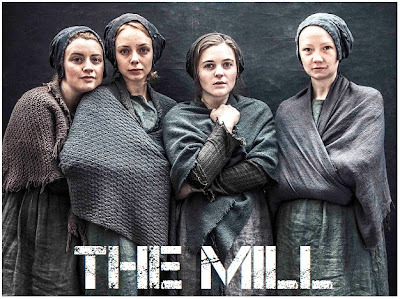 And if you're into period movies, and you must be since you're here and HOLLYWOOD SPY is web's leading place for all things epic and historical, British Channel 4 will premiere tonight their new historical drama THE MILL. The fourth part mini series is set during rural-industrial England during 1833, and follows the workers and unpaid apprentices at Quarry Bank Mill in Cheshire as they slave away at their 12-hour shifts. But the industrial revolution is changing the landscape of the country beyond recognition and the workers are poised to take their fates into their own hands. In the trailer you will recognise some familiar British faces among them Kerrie Hayes, Matthew McNulty, Aidan McArdle, Kevin McNally, Claire Rushbrook, Sacha Parkinson, Holly Lucas, Donald Sumpter and Barbara Marten. 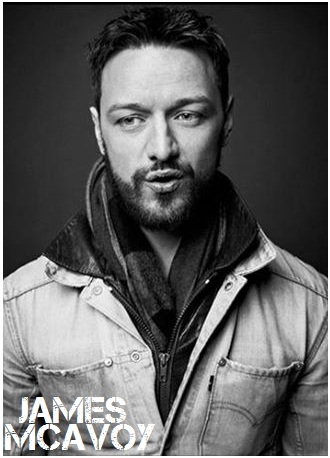 JAMES MCAVOY JOINS DANIEL RADCLIFFE IN 'FRANKENSTEIN"! 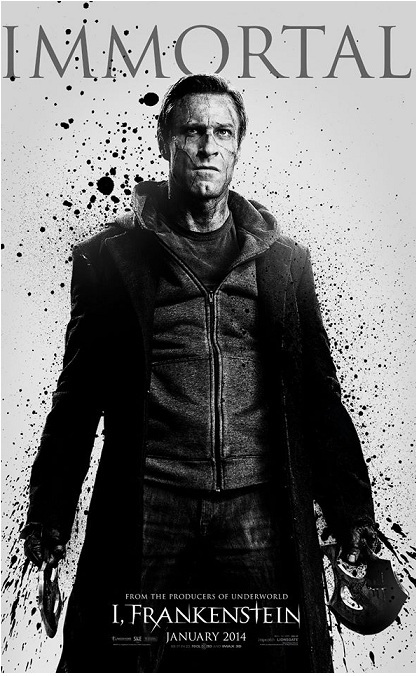 AARON ECKHART IN "I, FRANKENSTEIN" WITH BILL NIGHY, MIRANDA OTTO, JAI COURTNEY, YVONNE STRAHOVSKI! 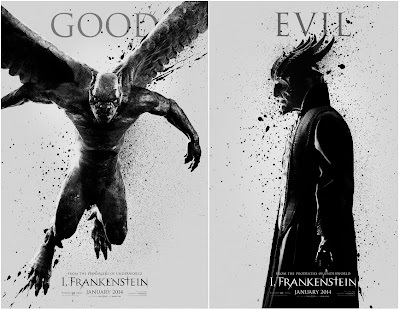 We shall have a Frankenstein day today at HOLLYWOOD SPY, people, in honour of the latest info coming from "Deadline": British star James McAvoy has taken the lead role in 20th Century Fox movie FRANKEN- STEIN. According to rumours McAvoy managed to beat out Jack Huston from BOARDWALK EMPIRE and Toby Kebbell from WRATH OF THE TITANS for the role of infamous Dr. Victor Von Frankenstein. 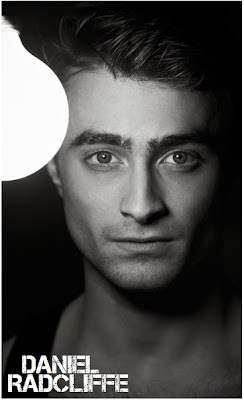 I have already informed you before that the big screen adaptation of the Mary Shelley novel will have Daniel Radcliffe playing Victor's faithful servant and assistant Igor. The film will deal with friendship and redemption in a revisionist take on the story which will also have a sf element in it. Paul McGuigan (LUCKY NUMBER SLEVIN) is directing. Did you know that FRANKENSTEIN is actually a creation of a teen girl? Mary Shelley, who wrote the novel in 1818 in London, was only 19 when she started writing it and 21 when it was published for the first time anonymously. She came up with the book when she, her husband famous poet Percy Shelley and their friend Lord Byron, decided to compete who will make a better horror story. The story then appeared to her in a dream. It is also considered one of the first sf novels ever! Both Shelley's and Byron's publishers have originally refused to publish the book! Another film on the famous monster arriving to the theatres much sooner is I, FRANKENSTEIN which will start its cinematic life next January following an unlikely hero who comes to the aid humankind as a race of supernatural creatures look to take over Earth. 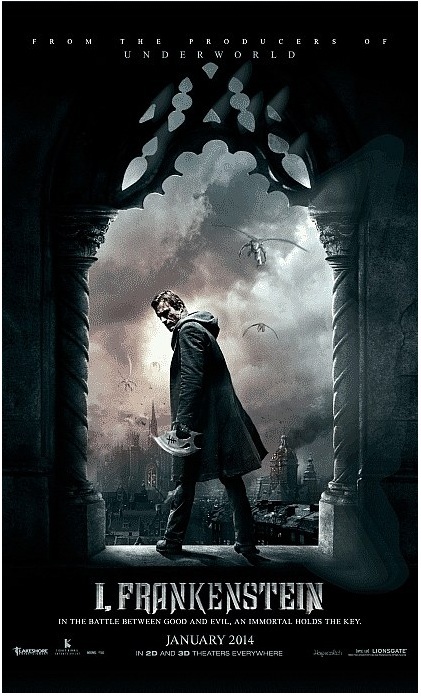 The story of this one centres on Adam Frankenstein (Aaron Eckhart), the creation of Dr. Frankenstein who is still alive centuries after his "birth." Adam is hunted down by a clan of demons who want to learn Adam's secret in order to reanimate deceased demons to start a new army. The monster will be encountering other famous movie monsters including the Hunchback of Notre Dame, the Invisible Man, Dracula, Dr. Jekyll and Mr. Hyde plus many more, in a re-imagined contemporary setting. Bill Nighy plays a demon prince, with Socratis Otto playing the prince's right hand man, who goes after Adam. Television star Yvonne Strahovski is Terra, the female lead a scientist who is working on reanimating the dead, with LORD OF THE RINGS star Miranda Otto playing the queen of the gargoyles who wants to help Frankenstein. SPARTACUS star Jai Courtney will be Gideon, leader of the Gargoyle army. The film, which was shot over in Australia, and is produced by the UNDERWORLD producers is actually an adaptation of a graphic novel. Both Aaron Eckhart and Miranda Otto practised martial arts for three months for this movie. 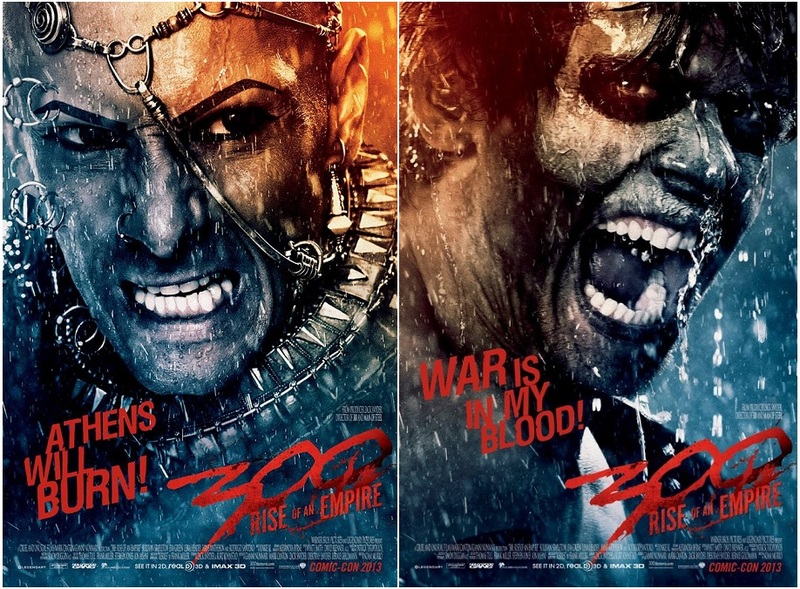 Bill Nighy loves playing evil demons, since in UNDERWORLD he already played a Vampire king! SECOND 'GRAVITY' SF TRAILER WITH SANDRA BULLOCK & GEORGE CLOONEY! 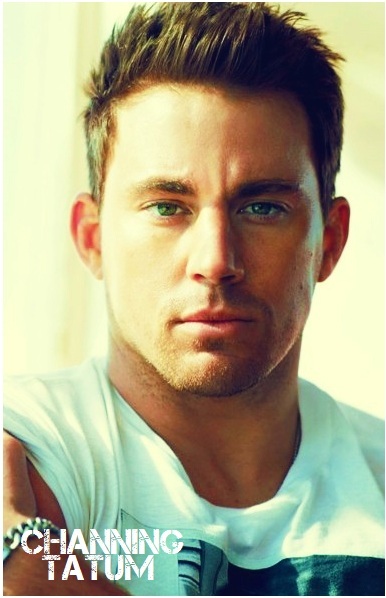 RYAN GOSLING, ZAC EFRON, JONATHAN RHYS MEYERS FOR 'STAR WARS 6'? EWAN MCGREGOR, GWYNETH PALTROW, JOHNNY DEPP IN 'MORTDECAI'! JENSEN ACKLES NEW BATMAN? Now, here is an interesting casting: some time ago I've informed you that Johnny Depp has taken the lead role in MORTDECAI and now "Variety" reports that he might be joined in the film by Ewan McGregor and Gwyneth Paltrow! The project will be a movie adaptation of "The Great Mortdecai Moustache Mystery" novel by Kyril Bonfiglioli in which the plot revolves around an art dealer named Charles Mortdecai (Johnny Depp), who goes out in search of a stolen painting rumoured to contain the code that provides access to hidden Nazi gold. All three of them had big films this year - Depp had a big flop in THE LONE RANGER, Gwyneth was in IRON MAN III while Ewan was delightful in lovely adventure JACK THE GIANT SLAYER. In short casting news today, I'm sure you've already heard that SUPERNATURAL star Jensen Ackles has expressed his wish to play Batman next to Henry Cavill's Superman in MAN OF STEEL 2. It is interesting that he was previously in the run to play Captain America but lost the role to Chris Evans. Armie Hammer was also previously mentioned for the new Batman. Meanwhile, FANTASTIC FOUR reboot is scheduled to start shooting this September which means we should soon expect an avalanche of casting news! ZAC EFRON, JONATHAN RHYS MEYERS, RYAN GOSLING IN STAR WARS? Another big project STAR WARS VII is apparently courting Ryan Gosling and Zac Efron to play the kids of Luke Skywalker and Han Solo. Harrison Ford, Mark Hamill and Carrie Fisher are also expected to appear in the film. Previous rumours stated that Jonathan Rhys Meyers was the strongest candidate for the lead role. Leonardo Dicaprio allegedly turned down the role opting to rather do ROBOTECH. The story will apparently be set 30 years after RETURN OF JEDI episode. And the exciting musical fantasy movie, to be directed by Rob Marshall, INTO THE WOODS has found its Rapunzel and her prince: young MacKenzie Mauzy and Billy Magnussen will play the roles (Billy replaces Jake Gylenhaal). The film follows a baker (James Corden) and his wife (Emily Blunt) who head into the woods to confront an evil witch (Meryl Streep), whose curse prevents the couple from ever having children. Travelling through the forest they encounter several classic fairy tale characters from Cinderella (Anna Kendrick) and her prince (Chris Pine) to the Big Bad Wolf (Johnny Depp)! Tracey Ullman is the mother of Jack the Giant Killer while Christine Baranski is portraying Cinderella's mean stepmother. 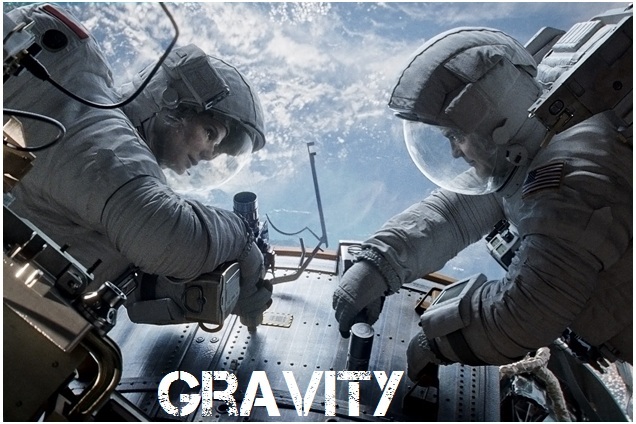 In the video department today, you can check out the second trailer for upcoming science fiction drama GRAVITY with Sandra Bullock in the lead role. 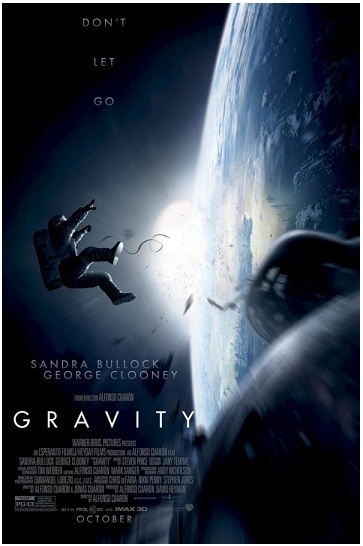 Opening in cinemas this October, and directed by Alfonso Cuaron, the $80 million space set film will have Sandra Bullock and George Clooney playing astronauts who attempt to return to Earth after debris crashes into their space shuttle, leaving them drifting alone in orbit. The dramatic new trailer shows Sandra's medical engineer Dr Ryan Stone and Clooney's veteran astronaut Matt Kowalsky separating from their craft. Did you know that Sandra and George couldn't hear each other without speakers in the open space if they were real astronauts? Since empty space has no air, you cannot hear any sounds there either, since sounds are made from the vibrations in the air. Apparently, even if a ship would explode near you in the open space you would just see it, not hear it! According to "Deadline" new action comedy STRETCH has added Jessica Alba to the cast which already has Patrick Wilson and Chris Pine. The movie will see ultra talented Patrick Wilson portraying a downtrodden man who takes a job as a limo driver to pay off his gambling debts. His first client is an extremely eccentric billionaire (Chris Pine), whose bizarre requests take a toll on the driver's sanity throughout one crazy night. Beside Jessica, another beauty, Brooklyn Decker, is also in the cast next to Ray Liotta, James Badge Dale, Ed Helms and David Hasselhoff. The movie is scheduled for next March! One of our most anticipated new shows this Autumn, historical drama REIGN at CW is adding some new faces to its gallery of stars. The show chronicles the rise to power of Mary Queen of Scots (Adelaide Kane) when she arrives in France as a 15-year-old, betrothed to Prince Francis (Toby Regbo), and with her three best friends as ladies-in-waiting. It details the secret history of survival at French Court amidst fierce foes, dark forces, and a world of sexual intrigue. Joining the cast, which also has Torrance Coombs as Francis' brother Sebastian, Megan Follows as queen Catherine de Medici and Anna Popplewell, Celina Sinden and Caitlin Stasey as Mary's ladies, are Luke Roberts who will play Simon Westbrook, a charming but sinister English diplomat determined to destroy Mary, and Katie Boland, playing a feral, disfigured young woman whose past remains a mystery. And here it is - the long awaited first trailer for Keanu Reeves Asian epic 47 RONIN which opens up in cinemas this Christmas! From ancient Japan's most enduring tale, the large scale epic 3D fantasy-adventure 47 RONIN is born. 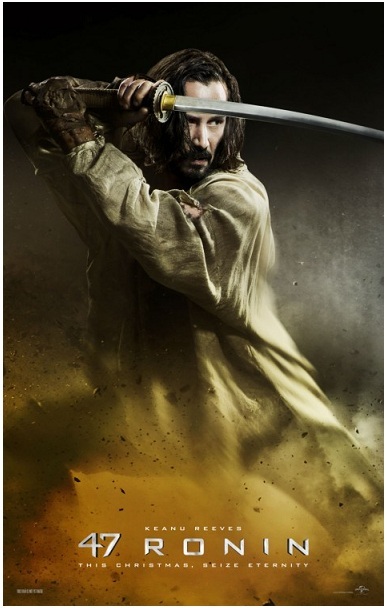 Keanu Reeves leads the cast as Kai, an outcast who joins Oishi (Hiroyuki Sanada), the leader of the 47 outcast samurai. Together they seek vengeance upon the treacherous overlord Kira (Tadanobu Asano) who killed their master and banished their kind. To restore honor to their homeland, the warriors embark upon a quest that challenges them with a series of trials that would destroy ordinary warriors. 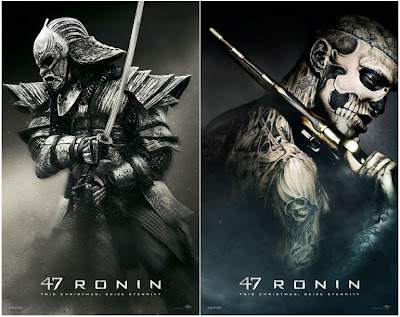 The film is actually based on a true story of the forty seven Ronin. It is considered as the most famous example of Japanese samurai code of honour. Those samurai were left leaderless (ronin is a name for such a samurai) when their lord had to commit ritual suicide after he offended a court official named Kira. It took them two years to plan and avenge their master by killing Kira and after that they all committed ritual suicides themselves. Here's a film with an innocent and cute storyline, not something we get often these days: new coming of age drama X PLUS Y will have some of lovely British talents in the cast from dashing Rafe Spall (you've watched him in Emmerich's ANONYMOUS as Shakespeare), to young Asa Butterfield and renowned actors Sally Hawkins and Eddie Marsan. A young maths genius has his logic thwarted by the one thing he can’t make sense of – love. 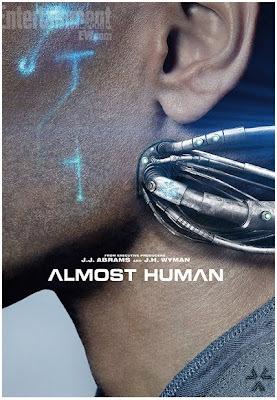 Teenage maths prodigy Nathan (Asa Butterfield) struggles with people, not least his mother, Julie (Sally Hawkins), but finds comfort in numbers. Mentored by unconventional and anarchic teacher Mr Humphreys (Rafe Spall), Nathan’s talents win him a place representing GB at the International Mathematics Olympiad. When the team go to train in Taiwan, headed up by squad leader Richard (Eddie Marsan), Nathan is faced with unexpected challenges – his new and unfamiliar feelings for his Chinese counterpart, the beautiful Zhang Mei (Jo Yang). 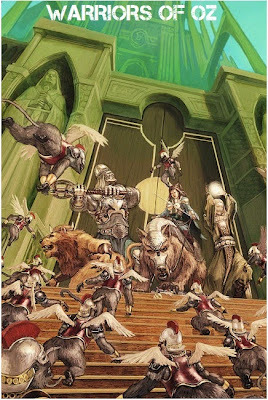 In television news today, Russian director Timur Bekmambetov (WANTED, ABRAHAM LINCOLN VAMPIRE HUNTER, NOMAD) is going to adapt WIZARD OF OZ into a fantasy mini series for SyFy! Titled WARRIORS OF OZ the mini series is a fantasy-action re imagining of the classic story in which a warrior from present day Earth is transported to a post-apocalyptic future Oz where he must team up with three other warriors, Heartless, Brainless, and Coward, in order to defeat the evil Wizard who has enslaved the land. As I've reported before SyFy is also preparing RINGWORLD sf mini series and they are also planning to adapt sf movie 12 MONKEYS into a TV show! And are you ready for new sf show ALMOST HUMAN which will air at Fox on Monday nights this Autumn? 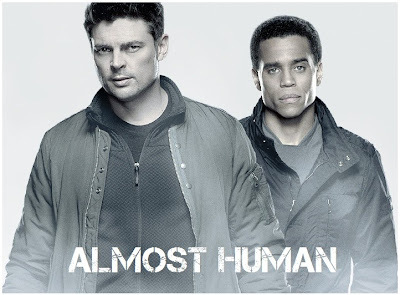 The show will see movie star Karl Urban playing John Kennex, an emotionally closed-off human detective from a dystopian future who is partnered with a robotic cop, played by dashing Michael Ealy! Ealy's Dorian, the android partner of LAPD officer John Kennex, understands humanity more than his human counterpart. But the two stunning hunks won't be alone since divine beauty Minka Kelly will play noble police officer Valerie Stahl! Focusing on humans vs technology and set 35 years into the future, the show will have lots of mesmerizing visuals and landscapes! 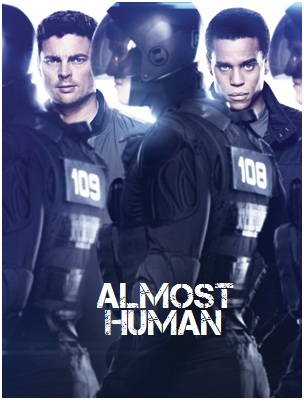 What will make ALMOST HUMAN different from other crime shows is that this sf drama will show us things we’ve never seen before. All the stories and cases will have either a problem created by something futuristic, solved by something futuristic, or the very reason that the people are doing what they’re doing is futuristic. Produced by famous STAR TREK producer J.J.Abrams, the show will premiere on November 4th this year. 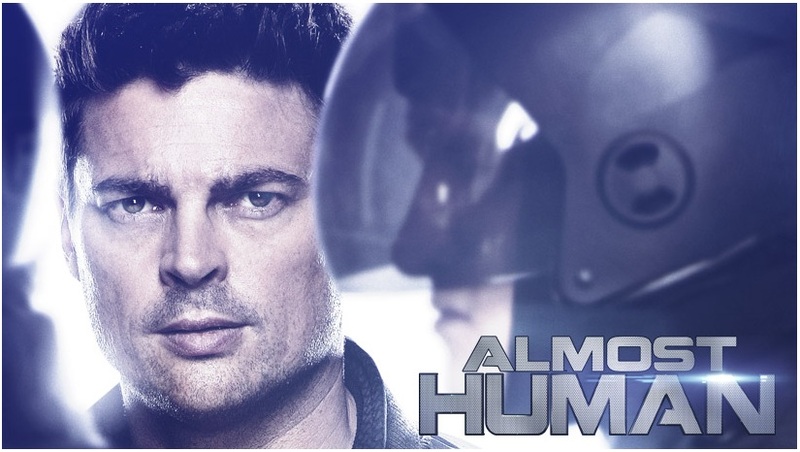 Beside his partner being a robot, Karl Urban's character will also have an artificial part: After surviving an attack in which his partner was killed, and waking up from a 17-month coma (during which his girlfriend left him), he will discover that he has lost one of his legs and is now outfitted with a highly sophisticated synthetic appendage. JAMIE DORNAN IN NEW 17TH CENTURY HISTORICAL SERIES "NEW WORLDS"! 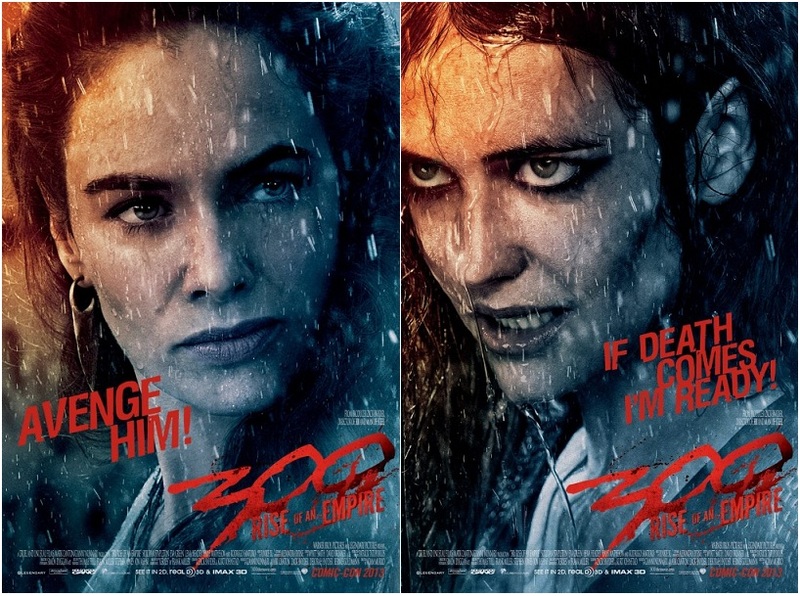 GLORIOUS CHARACTER POSTERS FOR "300 RISE OF AN EMPIRE" EPIC WITH SULLIVAN STAPLETON, RODRIGO SANTORO, EVA GREEN, LENA HEADEY! Good news people, we're getting new historical mini series! British Channel 4 has officially announced their new period set series NEW WORLDS! The cast of the upcoming drama will have ONCE UPON A TIME's and THE FALL's Irish hunk Jamie Dornan, GAME OF THRONES actor Joe Dempsie, BEAUTIFUL CREATURES star Alice Englert and Freya Mavor from THE WHITE QUEEN! The four part series will be set during the Restoration period in the 1680s, when the king returns to English throne, and will follow four young people on both sides of the Atlantic as they commit their lives to a fairer future with blood, passion and urgency! 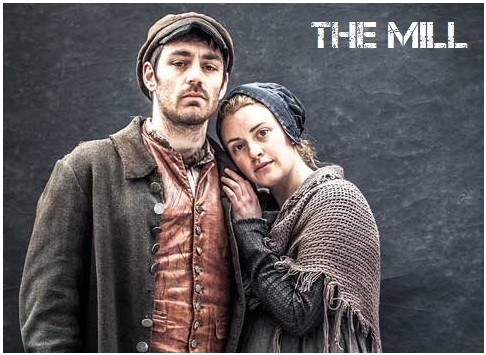 The compelling four-part drama will be capturing the political struggles of the period following the English Civil War both at home and overseas. 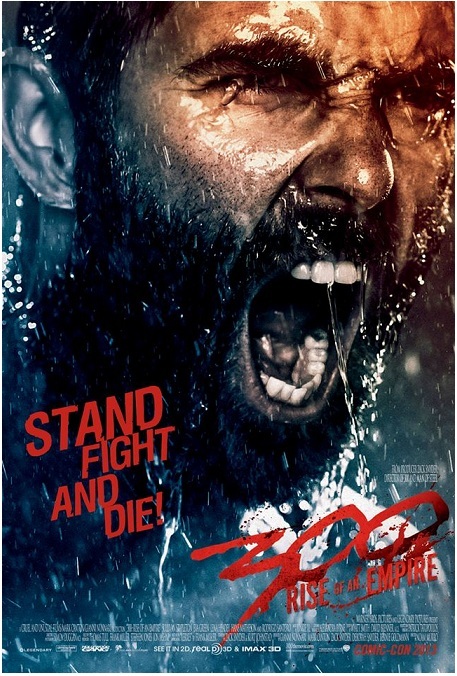 Among many other treats, Comic Con has also brought us new character posters for next years biggest epic adventure 300: RISE OF AN EMPIRE which you can check out today: Sullivan Stapleton leads the cast as Greek general Themistocles whose motto is "Stand, Fight and Die! ", Lena Headey is queen Gorgo and she wants to avenge her husband Leonidas, Rodrigo Santoro is Persian emperor Xerxes who claims that "Athens Will Burn! 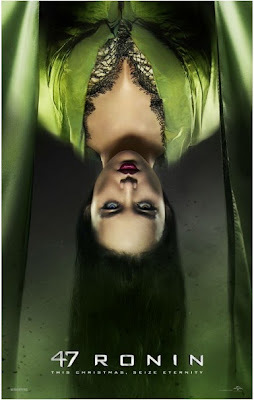 ", while Eva Green as his rotten evil general Artemisia swears that "If Death Comes, She Will Be Ready"! There's also Jack O'Connell as Calisto who claims that "War Is In His Blood"! 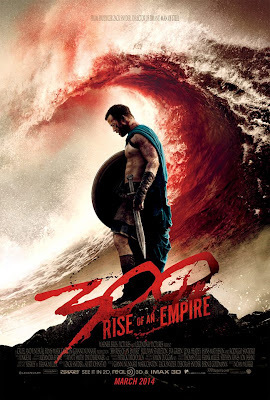 Scheduled to premiere next March with revolutionary visuals, mindblowing naval battles and stunning costumes, muscles and choreographies, the sequel to legendary 300 will be set after the Persian victory over Leonidas, with the Persian Army under the command of Xerxes marching north towards the major Greek city-states. The Democratic city of Athens, first on the path of Xerxes' army, bases its strength on its fleet, led by admiral Themistocles. Themistocles is forced to an unwilling alliance with the traditional rival of Athens, oligarchic Sparta whose might lies with its superior infantry troops. But Xerxes still reigns supreme in numbers over sea and land! Artemisia of Halicarnassus was the only female commander in the Persian fleet. During the Battle of Salamis she commanded five ships against the Greeks as an ally of Xerxes I of Persia. She was famous for a daring manoeuvre at Salamis, where she escaped being sunk by ramming one of her own ships. She was known as Artemisia I of Caria, Carian queen and Xerxes' ally! Her ships were the best ones in the Persian fleet! Tones of Comic Con news today, people! Beside the AVENGERS 2 being officially titled AGE OF ULTRON (Vin Diesel will probably join Chris Evans, Chris Hemsworth and Scarlett Johansson in the film), and the info that Superman and Batman will officially team up in MAN OF STEEL 2 in 2015 (with Henry Cavill plus a new actor in Batman role and with Zack Snyder directing again), and DC announcing JUSTICE LEAGUE for 2016 and FLASH for 2017, and that WARCRAFT movie starts shooting next year, probably the biggest exclusive this weekend was when Marvel officially introduced the cast for their GUARDIANS OF THE GALAXY movie! 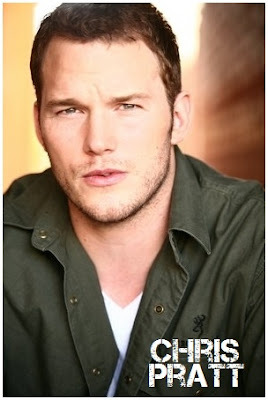 Opening August 2014 the sf movie will have Chris Pratt as Star-Lord (who went from this to this for the role), Zoe Saldana as Gamora, Dave Bautista as Drax the Destroyer, Lee Pace as Ronan the Accuser, Michael Rooker as Yondu, Karen Gillan as Nebula, Djimon Hounsou as Korath, Benicio del Toro as The Collector, John C. Reilly as Rhomann Dey, and Glenn Close as Nova Prime. The film will see thieves, rebels and intergalactic assassins turning their bad ways and becoming good heroes in order to save the universe. 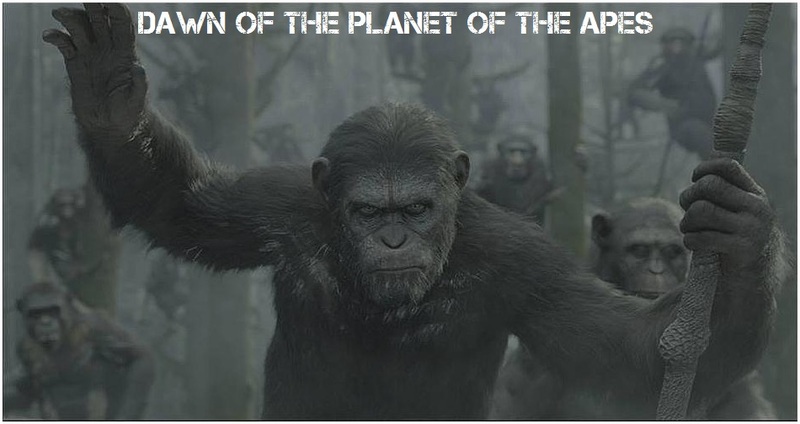 Fox has revealed the first picture from their upcoming sequel DAWN OF THE PLANET OF THE APES showing mad Caesar covered in war colours leading his armies of apes into the battle against the naughty humans! 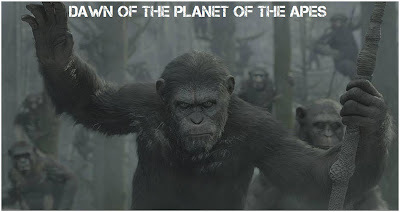 The film will hit cinemas July 2014 and will see a growing nation of genetically evolved apes led by Caesar who are threatened by a band of human survivors of the devastating virus unleashed a decade earlier. Keri Russell and Gary Oldman are in the cast. 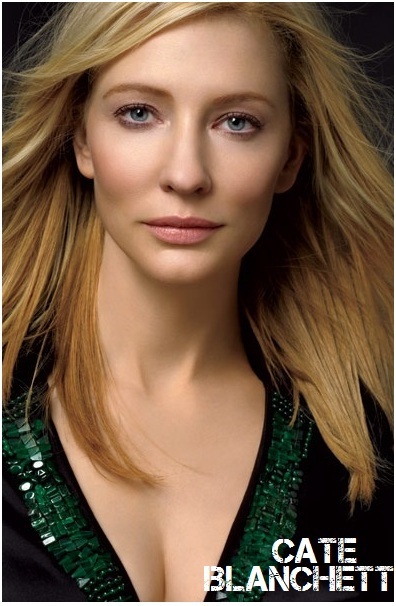 CATE BLANCHETT, CHANNING TATUM, GERARD BUTLER, KIT HARINGTON! We also have voice cast news: two of the upcoming animated movies have found their voice stars: THE LEGO MOVIE will have Channing Tatum as the voice of Superman, Jonah Hill as Green Lantern and Cobie Smulders lending voice to Wonder Woman! Will Arnett will voice Batman, and also in the cast are Morgan Freeman, Chris Pratt, Liam Neeson and Will Ferrell! Coming out next February, the movie follows an ordinary builder named Emmet (Chris Pratt) who gets sucked into a mission to stop the nefarious President Business (Will Ferrell) from gluing the entire Lego world together. Meanwhile, HOW TO TRAIN YOUR DRAGON 2 which already has Jay Baruchel and Gerard Butler in the cast, will now also have the voices from Cate Blanchett, Kit Harington and Djimon Hounsou! In the sequel of the beloved animated movie which comes out next June, Cate Blanchett will be a vigilante trying to free enslaved dragons, Djimon Hounsou is a dangerous dragon hunter and Kit Harington a dragon trapper who works for him. 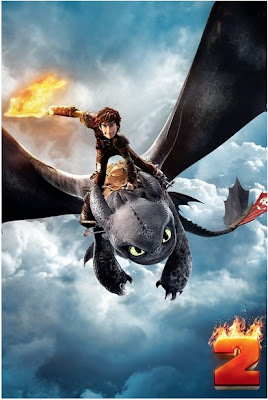 You can also check out the first teaser poster for HOW TO TRAIN YOUR DRAGON sequel today! Ultron, mentioned above in the title for AVENGERS sequel, is a sentient robot created by Ant-Man. His task is to eradicate human race, but in the sequel he won't be Ant-man's creation! Meanwhile, villain Thanos, who appeared at the end of AVENGERS first movie, will again appear in GUARDIANS OF THE GALAXY film! He will be a villainous mastermind that appears in most Marvel movies!